Today I took the 35mm print of Gone Fishing to Videosonics for the guys who did the sound mix to check out. 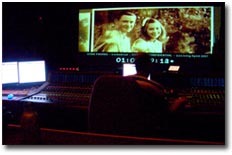 We had previously screened at Cinesite (for picture) where we thought the sound may have been out of sync. After checking today, I can now confirm that there are in fact no problems at all. Sound sync is perfect. Of course a problem we face here is that to check a 35mm print, you need a 35mm projector, and a sound system that can cope with a full cinema mix. 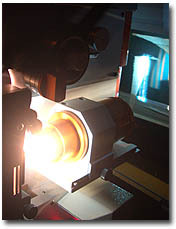 The 35mm print we have carries sound in two formats, Dolby (which is an analogue system) and Dolby Digital which encodes the sound as binary digits. While the Dolby Digital is heavily compressed, it sounds much better than the analogue tracks, and I was pleasantly surprised at just how good it did in fact sound. Plenty of oomph when it mattered the most. This means that we can now go ahead and get the final show prints made up for Cannes, hopefully on Kodak Premiere film stock, which should increase colour saturation and black densities. I am looking forward to seeing what it looks like. My blog posts have been sketchy recently as I am moving home, and I am just about to deal with an attic full of 35mm film stock I have from three previous features films! Blimey! I have just returned from the very first 35mm screening of Gone Fishing – EVER! Even though we shot 35mm, we scanned and post produced digitally, and even premiered digitally. 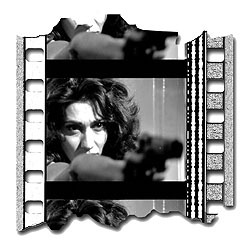 But to get the film out to the ‘world film festival circuit’, we needed a 35mm print. 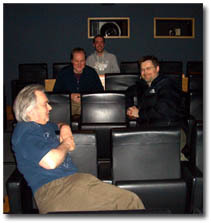 Mitch Mitchell at Cinesite stepped in and did a splendid job (pictured in the front row here, with me on the next, senior grader John Claude third, and finally at the back, projectionist James Breen). So, we saw the first print today. It was married with sound so it could have been a final show print, but there were a few problems. First off, even though to my eye it looked INCREDIBLE, Mitch and John Claude assured me that it was a little light. I guess I could see it, but it certainly didn’t distract from the splendour. We took a look at the lab report (which you can see here if you are a geek like me - what amused me on the lab report was that the print was described as ‘a touch magenta and a smidgen red…’ You can tell that was from a lab in the photochemical mindset and not the absolute digital world of binary ones and zeros!) The report has two lots of printer lights – the goal lights and what actually came out the other end – we are out of the digital world now and back in the photochemical world where I cut my teeth. Printer lights relate to how much Red Green and Blue is pumped in when making a print. Mitch at Cinesite gave the labs a ‘goal’ light, but as this is photochemical, all sorts of variables can come into play, like the age of the chemicals, temperature etc. As it happens, this print didn’t hit the ‘aim lights’, so we are hoping to do another print. We also have a bigger problem. The sound was out of sync. Not by much, maybe three frames, but I could see it. So we need to get to the bottom of that too. Also, we have decided to go the whole hog, and we are going to try and get some Kodak Premiere print stock, which apparently, will look gorgeous… I can’t wait! So the next print should be on this new stock, giving denser colours and blacks, the print won’t be so light, again giving denser colours and blacks, and the sound should be in sync! One of the problems with presenting Gone Fishing out in the world is that the soundtrack is very dynamic. The loud bits are very loud, the quite bits are very quite. Great if you are in a cinema, not so great if you are in a noisy café in Cannes! To combat this, I have made a special Cannes DVD where I have modified the soundtrack. First off I have downconverted the 5.1 into straight stereo, and then using Adobe Audition, I passed it through a ‘compressor limiter’ filter. What this does is take the loud bits and makes them peak at 99% of max signal (before it starts to break up and distort) and then pulls all the quieter bits up too, so they are louder. This effectively compresses the dynamic range. It’s what they do to movies on planes (though that system is ‘on the fly’ and much more heavy handed). Next time you are on a flight you will hear this hideous AGC (Automatic Gain Control system) which makes it louder in the quieter bits, and very hissy… What I have done with ‘Gone Fishing’ I hope, is much more effective and does not compromise the soundtrack like an inflight movie would be. If you click here, you can see a much bigger pic of the before and after wave forms. You will see the louder bits peaking and flattening off, and the quite bits now being pulled up and so now having bigger peaks. The effect is very pleasing to the ear when in a noisier room than a dedicated theatre. It’s just imperative that when people see the movie, they can get the full experience straight away, no matter how limited the technology or noisy the environment. 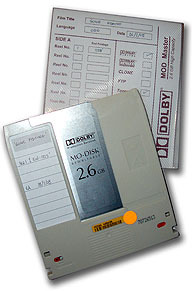 Last Friday I collected the MO disk of the Dolby Digital 5.1 mix for the 35mm prints of Gone Fishing. I had a brief glimpse into the Dolby transfer bay, which was a surprisingly compact room, looking more like a machine room at a small post production company than an audio lab. But then I guess they are just converting digits from one format to another (in this facility). This MO disk will now be sent to the labs and transferred to a high contrast negative, that will in due course, be married up wit the 35mm print when it has itself been transferred from the 2k scans at Midnight Transfer. I can’t help but wonder how long 35mm will persist as the dominant exhibition format. It all seems so compromised and messy. It’s robust and can play anywhere in the world, that’s for sure, but it’s got inherent quality limitations and it’s darned expensive too. Personally, I can’t wait for the day when every theatre is digital and movies are delivered on disk, or pumped down the line. After seeing Gone Fishing presented digitally at BAFTA (in the full 4:4:4 colour space and uncompressed sound), a 35mm print with compressed Dolby Digital sound will seem quite a step down I am sure. Translating Gone Fishing has turned into both a bigger job than expected, but at the same time, easier job than I feared, mainly due to the incredible help I have received. Subtitle Workshop has proved to be a great little free tool, a little clunky in places, but nonetheless, it does what it says on the tin and is free (I believe a Beta of the new version is out too). Importing files into Adobe Encore has also got its foibles with it requiring text files saved in a particular way (UTF-8), but now I know how it all works, it’s fairly painless. 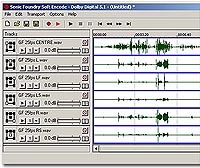 The best part is, I have been able to send of the text file of the English version and it’s translated by you guys – by just swapping out the English and dropping in the new language in this text file – I can then just check it over in Subtitle Workshop and drop it straight into Encore as all the timecodes are still in place. It’s really very easy once the first transcription into English is done and is all correctly timed. If you are interested in what this subtitle text file looks like, you can click here and read it. I have decided to do as many languages as possible as Festivals are bound to be more favourable if the film has already been translated. I have also done an English track for the hearing impaired, something I try to do all the time now (a character in Rocketboy is Deaf and I have had some experience now in the deaf community and understand how much subs are appreciated in this larger (than you would expect) group. Perhaps the biggest problem with translations has been the title, as ‘Gone Fishing’ is kind of a recognised phrase in English that in other languages may not work at all, or just sounds strange. So for undertaking or checking a translation so far, I would like to thank Daniel Bones, Kerry Finlayson, Sylvie Bolioli, Marino Santirso Ruiz, Katja Gielnik, Steve Wilson, (and anyone else currently working on one too). It really has helped make the film international. 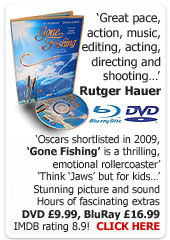 Yesterday I completed the PAL DVD for ‘Gone Fishing’. This DVD is for showing to festival co-ordinators and people who may be interested in the new features I am writing. For now, it won’t be available to anyone else, not even my family! (as I explained on the blog before, we need to keep tight reigns on the DVD so it does not appear on YouTube and destroy our festival aspirations). I have been working with Adobe Encore which I have found very good most of the time, but cryptic and flaky at other times. I rendered the picture and sound separately – the picture part of the DVD was made from an HD uncompressed Avid project, so it took a few hours (the 10 min project was 150gb in total), but it looks stunning. On DVD, it will never look better. After remixing the sound, I was able to do a new soundtrack for the DVD too. We shot at 24fps and DVD runs at 25fps, so I needed to do a speed up – which I did in Adobe Audition (by changing the length to 96% using the Stretch tool). 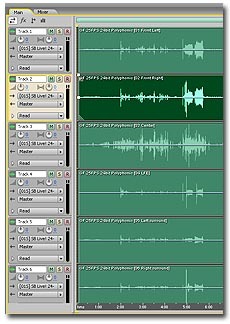 Incidentally, I was also able to make a Polyphonic WAV in Audition too – that is, all six channels of sound in single WAV file, uncompressed – it’s pretty easy in Audition, which also has a surround sound mixer built in. I have spoken to many sound engineers and everyone is saying basically what I already knew, which is ‘don’t bother with pitch correction when speeding up or slowing down, as it introduces new and unnecessary audio artefacts.’ There is such an enormous amount of misinformation floating around about 24fps and 25fps and as anyone who has done my Guerilla Film Makers Masterclass knows, I have plenty to say about it! Well now I have even more having just gone through the grinder of 24fps with no budget. Categorically stated now, if you live in PAL world and have little money, shooting 25fps is easier and cheaper and has no technical or presentational disadvantages at all. None. So now I have a version of the sound at 25fps (converted in Audition), and I used an old Dolby Digital Software encoder to create an AC3 5.1 surround file (which is compressed heavily). Dolby Digital can handle up to 640k /second, but Encore would crash out with using anything above 448 k/ sec, which is annoying, but they way that it is. It still sounds very good though. I also managed to encode a DTS track which is 1.5mb / sec, so three times as much data, and it sounds so much better. 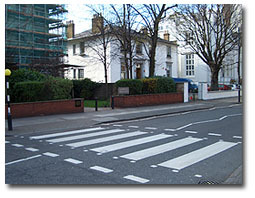 As we speak, the 24bit files are being encoded by Richard Osborne at Abbey Road Interactive into a DTS HD audio stream, which will deliver uncompressed 24 bit sound via BluRay – that is if Encore will play ball (the manual says it will but I am not so sure – and so the BluRay saga continues). Also, in the next few days I will be encoding an NTSC disk for the USA. I promise once we get through this technical stuff, I will disengage my propeller head and get on with fun stuff like film film festivals. 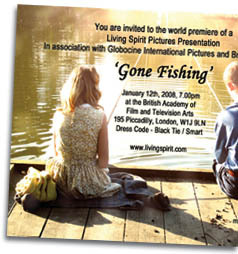 We have just secured our Dolby Digital licence for the 35mm version of Gone Fishing. 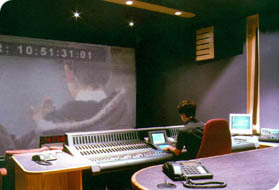 When we screened the film at BAFTA, it was presented on HDCamSR with full 24bit uncompressed six track sound. For 35mm prints, we need a Dolby encoded version, and for that, every short film needs a Dolby licence. So tonight at Videosonics, one of the things that we will be doing is a DA88 six track version (onto tracks one to six), with a stereo ‘fold down’ mix of all tracks mixed into two (onto tracks seven and eight). This then goes off to Dolby where an engineer transfers that DA88 and encodes it onto an MO disk, which then goes to the labs and is converted into a 35mm optical track which can then be read by a projector. DA88 is an older tape based 8 track digital sound mastering format that has been around for ages, so it works and is very robust (actually it uses Sony Hi8 video tapes!). For those of you more interested, I have printed one page from The Guerilla Film Makers Movie Blueprint as a PDF and you can view it here – it explains exactly how sound is encoded onto a 35mm print. Since the premiere I have wanted to do a few very minor tweaks to the sound track. And I mean minor. When you see your film out in ‘the wild’ as it were, you always see something new that could be changed. This is the value of having the time to go back and make minor adjustments after the fact. I always knew we would have to go back to the audio wizards Videosonics for some final mastering, so it was always possible to do few minor creative tweaks too. We originally mixed the film in 24 bit and shot at 24fps, so we also need some new versions of the sound for different technologies… For instance, PAL DVD runs at 25fps and not 24fps and uses 16 bit sound and not 24 bit sound. 1. A version of the sound on DA88 tape which will go to Dolby and get converted to an MO (Magneto Optical) disk, which can then be converted into an optical / digital and optical / analogue format for putting onto a film print. Essentially, getting sound via light! If you get chance, look at a 35mm print and between the sprocket holes is a grey box – that’s Dolby Digital delivered on film. 2. 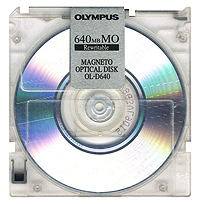 A version of the sound in full 24bit for laying back onto the HDCamSR tapes. 3. A version of the sound that is slightly compressed for home theatres, in 24bit, for HD DVD and BluRay. 4. 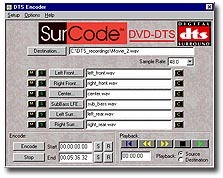 A version of the sound that is compressed and speeded up to 25fps and in both 24 bit and 16bit (the 16 bit version being for DVD) for home theatres. 5. And then, a conversion to Dolby E and stereo fold down for the HDCam version that we need. HDCamSR is what we have mastered to, and it is better than HDCam, but very expensive to use, so HDCam is more suited – but HDCam only has four audio tracks, so we need a way of getting high quality Dolby 5.1 (that’s six discrete tracks) into 2 tracks – that would be Dolby E!) Dolby E is a new one to me, so we will see how it goes. And we haven’t even done an M & E mix! You can see just how technology is making things more complicated by the day. Now the final mix is complete, I wanted very much to listen to it in Dolby Digital at home, on my own 5.1 system, as well as start the process for making a DVD of the completed film once everything else is done. The only problem is that I left the final mix on Friday with a copy that is saved as 24bit, 48khz WAV files, six of them (one for each channel), all recorded at 24pfs. I needed to convert them to a single AC3 Dolby Digital file, which I believe is at 16bit and 48khz, and as the final picture transfer onto DVD will be at 25fps, the sound is also currently running 4% slow for that DVD. The short answer to this problem was that I used, for now, a 24fps version of the film which inserts an extra frame every second, so that it’s running time is that of a 25fps version (though ever second the picture ‘bumps’ as a frame is repeated). I then used a program to ‘mux’ the sound from 6 discrete (separate channels) into a single encoded file. I used Soft Encode by Sonic Foundry, and it took all of five minutes to encode it. On balance, it was pretty easy. I then took that AC3 it into Adobe Encore and used the ‘plop’on 2 (that’s the beep on the leader at the head of the film) to sync it up with the picture. 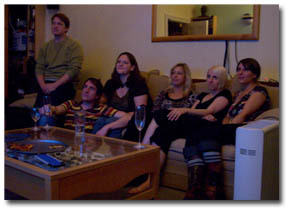 Again, it worked fine and when played back, my DVD player recognised the Dolby Digital stream and my amplifier separated the tracks and sent them of to the correct speakers – left, centre, right, left surround, right surround and sub woofer. 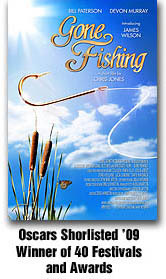 I chose to shoot ‘Gone Fishing’ at 24fps, mainly to have the experience. I have always been an advocate of shooting at 25fps if your budget is low, and frankly, I am still an advocate of it. It seems to me that there are several technological hurdles when shooting at 24fps, with no real benefit to the end product. Certainly shooting at 25fps has no impact whatsoever on the final consumer or any potential distributor or broadcaster (if this were a feature film for instance). For me, choosing 24fps (when you have a low budget) is a matter of misinformation or zealous puritanism. Of course we will have to see how HD pans out, and if 24p does start to dominate in the home and on broadcast, then that will change things… but I am not holding my breath. I believe that sadly, PAL and NTSC, are her to stay for the foreseeable future. HD had it’s chance at one world format, and it blew it. Anyway, at least right now, I can watch ‘Gone Fishing’ with an offline cut at 24fps and hear the amazing soundtrack we produced last week at Videosonics, and experience it in all it’s acoustic glory. 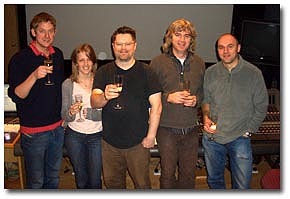 Today was the first day of the final mix for the soundtrack to ‘Gone Fishing’. 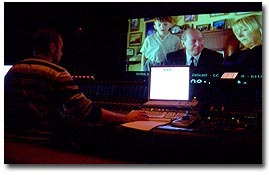 It took place at Videosonics, where on and off for the last six weeks, sound designer Bernard O’Reilly has been crafting a wonderful soundscape for the story. Today was the start of mixing all of those elements, along with the music, and live dialogue that was recorded on set, into the final surround sound mix. The day ended with us mixing the first few minutes of the movie, and I am giddy as a schoolboy as it sound sooooo AMAZING! The attention to detail Bernard has shown is incredible. Tiny rusty squeaks on car doors, individual duck squaks, multi layered atmospheres, sparkling and multi layered foley effects… it all makes such an enormous difference. The real fun begins tomorrow as we charge headlong into the final mix. We have done all the hard prep work. Track laid effects, atmos, music, foley... premixed dialogues... But challenge now is to complete the sound mix tomorrow as we are ten days from the premiere… the sound is not complete… the picture is not complete… but we will get there…! The last couple of days have been spent organising the premiere. The tickets have arrived from the printers, and they look great! Steph Wrate, who also worked in the production team on ‘Gone Fishing’, has been calling everyone to make sure they are coming. I have been working primarily on the Masterclass that will be taking place during the day. Running an event like this is almost as much work as making a film, there are so many little things to iron out, and it’s so much harder when you have no money to do it. Getting in contact with people has been an uphill struggle too. Some people just don’t respond to your request for info about their attendance. Some people get the mails held in a spam folder (what is the use of a spam filter if you have to check it?!?) Some people I am guessing aren’t picking up mails until the new year. It’s a monumental task! But, on the whole, it’s all coming together and it promises to be a very special day indeed. Contacting everyone has made me look harder at where everyone is from, and I am truly amazed at the global nature of the contributions – the furthest I believe is Towoomba in Australia! But there are people from France, Spain, Germany, Africa, USA, Canada, all contributing… and we will have guests at the premiere who are flying in from Berlin, LA, Vancouver… Blimey! Later this week I will be at Videosonics, completing the sound, and the following Monday I am back at Midnight Transfer doing a single day of final VFX tweaks and laying off the edit onto HDCAM SR tape, and archiving the data for 35mm transfer. I just spent a very enjoyable morning with sound designer Bernard O’Reilly at Videosonics. We booked the final mix (where everything is mixed into a single soundtrack) in on Jan 3rd and 4th, so it’s all guns blazing between now and then to track lay all the sound effects. It’s such a pleasure to work with great craftspeople like Bernard, as they bring so much more than is obvious to the project. For me, it’s always about supporting and enhancing the narrative. Sure, sound is often music and sound effects that ‘go with’ the drama, but I like to take it to higher levels. For instance, we discussed putting some deep wood groaning sounds on the wide shots where we can see Young Bill is stood on a wooden jetty and being pulled around by the huge killer pike, ‘Goliath’. These groans add two dimensions not present in the image. First, it tells you that Goliath is HUGE, he must be if he could break a sturdy wooden jetty. Second, it adds a subtle level of danger – if the jetty breaks, Young Bill will go into the water with the killer pike! Then he has a real problem! All this equals more tension. We discussed the fact that ‘Gone Fishing’ is in fact an action movie by stealth. By that I mean, when you look at it, at first it appears to be a gentle tale, but large chunks of it are in fact big old Hollywood style action – and track laying that kind of film is hard work. The sound plays like an acoustic symphony with just as many different distinct instruments as an orchestra. 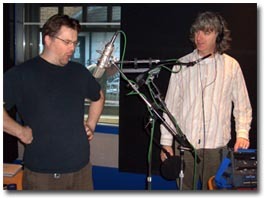 We also recorded some ‘voice over’ for Goliath himself. What? Fish don’t have voices? You are right, but this is after all a movie. When editing, I noticed I was subconsciously giving Goliath a voice, kind of like what he would sound like if Brian Blessed were playing him. And so we have tried it out, in the studio. For a good hour I howled, groaned and cackled like I imagine Goliath would if he had a voice. I am not sure if this new dimension will work. When we hear it all in place, we might just say… ‘well we tried, but that’s terrible…’ Equally we might say, ‘wow that really kicks!’ I thinks it’s vital to always strive for innovation, and to take risks. Now, time for my Lemsip as I have a very hoarse voice. This really isn’t a real job is it! Today we spent a cold session back at Bury Hills Fisheries recording sound effects for the enormous killer pike in Gone Fishing. 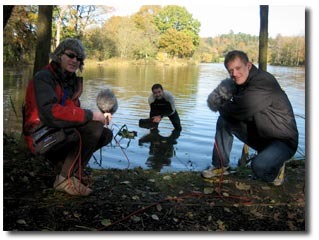 Senior sound designer Bernard O’Reilly and two of his team, Barnaby Smyth and the extremely brave Stuart Bagshow (seen here in the water) generally thrashed around in the water, stomped on wooden jetties in wellies and jangled chains, recording it all for the film. 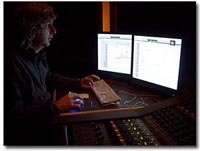 They recorded everything at 96khz, which means that they have twice as many samples per second as is needed for the final mix, which theoretically means they can slow sound down by 100% without loss of quality (film sound when you hear it is usually at 48khz, which is half of 96khz). It’s a bit like shooting slowmotion picture then playing it back at real time speed, but having all that extra information available should you want to slow things down again. Cunning. 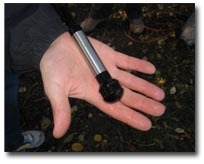 They also used an underwater microphone, a hydrophone, for those extra special underwater sounds. They assured me that this was a new development for them, they were more used to a microphone taped up in a condom! Blimey. Now that the picture edit has been locked, we have entered a waiting game for the final picture mastering, sound edit & mix, and the visual effects. We have got top people and companies working on all three aspects, but as they are all at the top of their game, and as we are not paying, we have to slip in between big paying jobs. So we are forced into a waiting game. VFX company Men From Mars have been choka with two big features, St Trinians and Mutant Chronicles, and they hope to get to us soon… I have broken the VFX into two parts, ‘hard’ and ‘not so hard’. Last week I was contacted by a Gone Fishing contributor who is also an After Effects guru, and he offered to deal with the ‘not so hard’ shots. His name is Russ Wharton and I hope to be able to post an update with some of his ‘before’ and ‘after’ clips soon. Russ lives up in Wales and so I just posted a DVD with data on it. Let’s see what comes back from him. On the picture conform front, Midnight Transfer are also busy, but I think we will get in there before the end of the month. To speed things up, I am going through making the EDL for them (in CMX3600 format) so that if they get a free afternoon, they can at least scan the neg into the system (the neg is still stored with them). I have a feeling the neg will still be a bit dirty and may need a further ultrasonic clean at The Film Clinic (who have already done some great work for us). We will see. On the sound front, things are moving very well. Senior sound designer at Videosonics, Bernard O’Reilly, is spending the afternoon in his studio, messing around with the fishing props to see what cool sounds he can create. We are striving to create a film with a truly extraordinary soundtrack, and Bernard is one of the best guys in the country for the job. We are so very lucky to have him! I can’t wait to hear what he cooks up in his accoustic cauldron! Senior Sound Designer Starts Work On Gone Fishing! 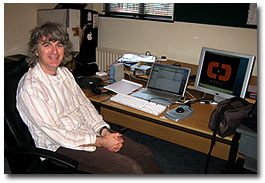 I had a splendid meeting today with Bernard O’Reilly who will be our senior sound designer on Gone Fishing. 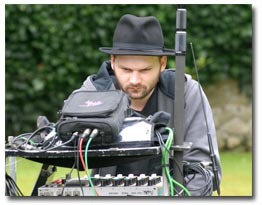 Bernard works for a renowned company called Videosonics that have done the final mix for many a Hollywood Blockbuster. So to have him and Videosonics onboard is a great coup. You can see a Quicktime VR 360 of their main studio here, if you want to know what a full Dolby Digital mixing theatre looks like. So today, Bernard and I worked our way through the film, discussing ideas on specific sounds, not just foley, atmospheres, spot effects and music, but also on more esoteric ideas to help build a unique soundscape for the poetic narrative of Gone Fishing. There is one major action scene too, which Bernard will fill with a cacophony of ‘crash bang wallop and wiz’ effects… It’s all VERY exciting. We also discussed a few key moments where, for dramatic reasons, we will pull the sound out completely. In the next few days I will be dropping off some of the original props, such as the fishing reels, so that Bernard can re-record the specific sounds they make when being used. This is one of the reasons why I actually bought some of the mian ‘hero’ props instead of renting for the main shoot. When we locked picture last week, Eddie created a bunch of files for Bernard, most important of which are a QT of the picture, with burn in’s and also a OMF of all the audio. OMF is a file format that was created by Avid, and it’s like a folder with all the sounds in it, plus a timeline. In theory, Bernard should be able to import it directly into ProTools and all the effects should remain in the right places. I have got to say it again… IT’S SO EXCITING! Test Screening Number 2 - new stuff discovered! Last nights test screening went very well. Lot’s more stuff discovered. First off, everyone really enjoyed the film and felt impressed by how ‘BIG’ it felt. This is mainly down to the story, photography and music, and also the simple ‘non tricksy’ direction I think. I am very pleased. But... we still have some stuff to iron out. The killer pike looked great, but water has a weird way of messing around with scale, and everyone thought the pike was too small. Most people were not bothered by this, but I think it’s something we need to deal with. I have re-cut some other shots in now where less of the pike is seen, and more water splashing takes place. It works well too. We also isolated a line of dialogue that many viewers could not understand. This is a classic one – and why these screenings ARE SO IMPORTANT. Everyone involved has read the script, and so understand the dialogue, and therefore, couldn’t even conceive of why another person might not understand what is being said. Virgin eyes and ears can often hear something else, and while I still know the line is delivered well from the actor, for some reason, half the people watching didn’t understand what was said. This is in part because the actor was a little nasal, perhaps something to do with the emotional performance, or maybe the mic positions. To be clear. The performance is wonderful and sound is clear. But… for whatever reason, the audience does not ‘get the line’. I have EQ’d it a little, rolling out some bass, and we will test the film again – hopefully tonight – with these new tweaks. We may go back and re-record that one line with the actor too, trying to get the words more clearly defined. Blimey, it’s amazing how important these screenings are!